Texas Democratic Rep. Beto O’Rourke has been removed from the No Fossil Fuel Money Pledge after a Sludge investigation found that he accepted “dozens” of donations from oil and gas executives. The pledge was created by Oil Change USA to hold politicians accountable for taking contributions from major gas corporations by requiring that signees reject donations over $200 from any company who deals with fossil fuels as a business. Sludge and Oil Change USA reached out to O’Rourke’s office, but neither have received any word back. 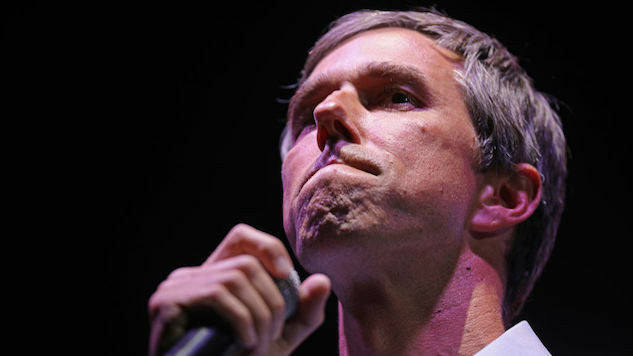 Reports that O’Rourke violated the agreement arose on Dec. 10, and he was officially removed from the list on Tuesday, Dec. 18, according to Oil Change USA’s strategic communications director David Turnbull. Although O’Rourke took money from oil and gas executives without reporting his refunding them, he hasn’t taken money from PAC donations. That’s what makes Turnbull think that O’Rourke interpreted the pledge as only rejecting money from PACs, not executives. He treats O’Rourke with a soft understanding we can’t afford right now. Sludge’s in-depth investigations of O’Rourke’s oil and gas contributions show that he accepted about $430,000 from executives as of Oct. 17, accounting for .62 percent of his total $69.2 million fundraising haul. This is money that he can do without. If O’Rourke wants to lead the country, voters need to know if the green in his pocket is more important than the green of our planet.